Great stuff, Primate. Happy Birthday buddy, btw! 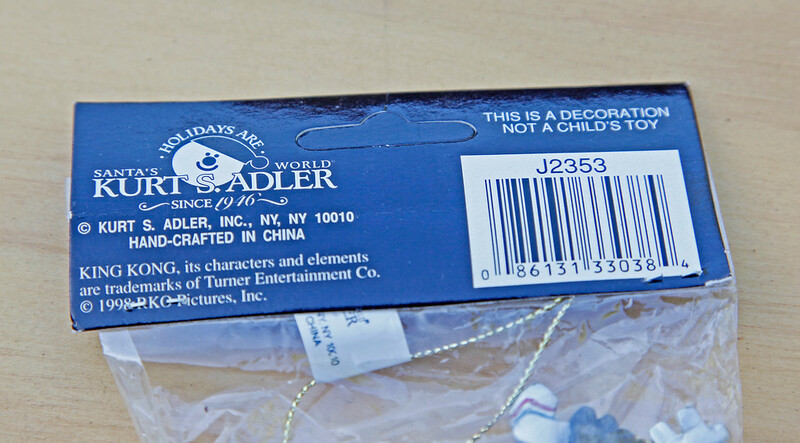 Next I have a 1998 RKO King Kong ornament, abt 5" tall, MIP . I think a friend who worked for paramount back then gave me a big box of stuff including a bunch of Star Trek stuff and 3 of these. Is this worth anything? I might look for the others. 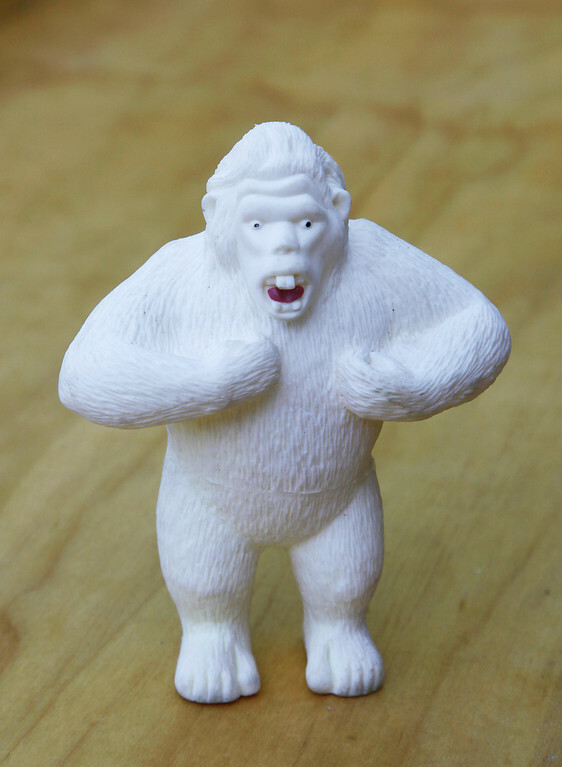 The white gorilla is the Abominable Snowman from the old G.I. Joe set. 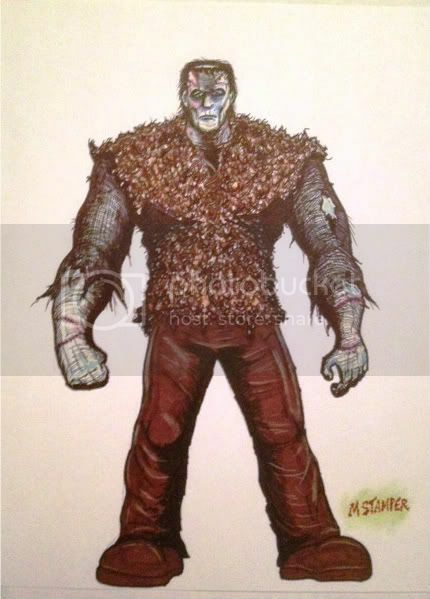 Yep, he was also cast in black as the Pygmy Gorilla from another Adventure Team set. I really like the Kong ornament. It is cool! Unbelievable, I should have known that though...I though I had a vague recollection of that guy from somewhere....god bless the UMA for being such an incredible resource of knowledge and wisdom. I am eager to hear info and comment on the kong ornament. Thanks! Indeed, the UMA is a knowledgeable crowd! I recall having the black version of that gorilla, and my mom used it as King Kong to decorate one of my birthday cakes. But as a foe for the much-taller GI Joe, he was rather disappointing! I remember another G I Joe Adventure team set with a mummy inside a green sarcophagus,I have one packed away somewhere. 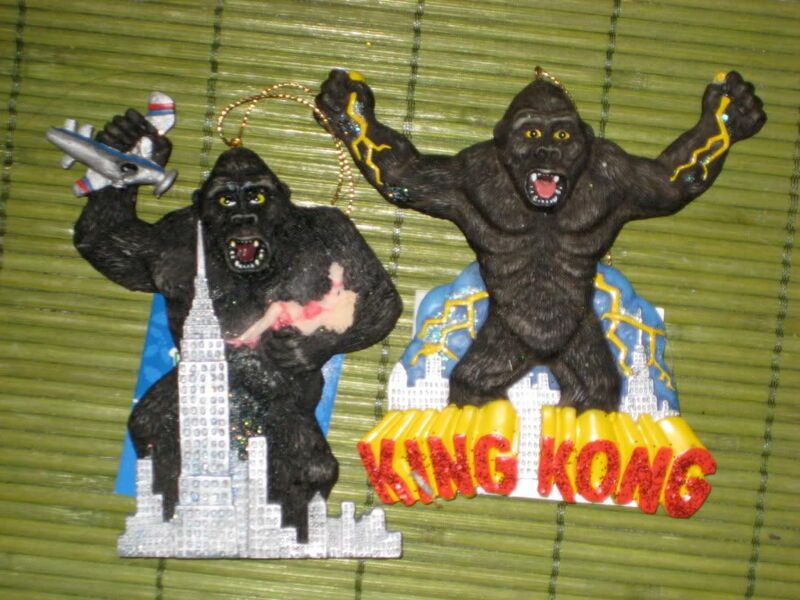 I bought a couple of those Kong ornaments back when they came out. Here's a photo of mine. 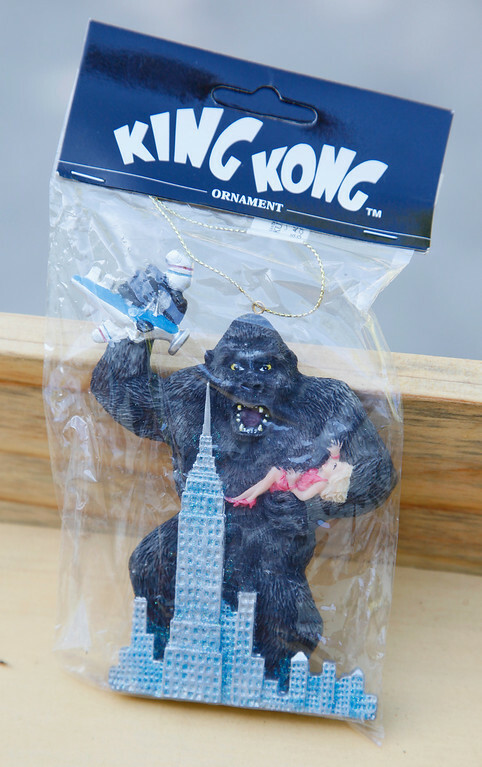 I think they made another ornament that just said "King Kong" on it,too, but I didn't buy that one. "Now's the time for scary things..."
FINALLY! I've been wanting a SSE Dracula for a long time. Last week, I came across a great deal MIB at my price range, he arrived on Saturday. This is not his regular home, that is on a shelf in my closet (until I have my man cave). This is my only Sideshow and I'm thrilled to have Drac. I got these two last summer but never posted a photo. They are an original '61 Frank and a '62 Drac, I absolutely love them. I painted Frank in October and Drac over the winter. You can't see in the photo, but I was going for that cheesy 70's vampire bluish dead skin tone for Drac. He ended up a little too blue. I may repaint him before Halloween. I also ditched the grassy field look in lieu of shades of darkness over a graveyard look. These were my first models in decades, just having fun. Again, not their display home. "For one who has lived but a single lifetime, you are a wise man ...Van Helsing." "I shall awaken memories of love and crime and death..."
"To my Christine, I am forever Wed"
Congrats Baron. I know you've been jonzing for one of these SSE Dracs for a while. "In each of us, two natures are at war--the good and the evil. All our lives the fight goes on between them, and one of them must conquer..."
The silver screen is sweet. Until the cave is ready just throw him back into his "coffin". Ahh, so thats what those Kong things are, ornaments! i had saw them in someoens collections pics and always wondered. Very cool!